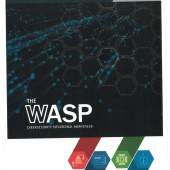 ‘The WASP’ is a Department of Homeland Security Newsletter on Cybersecurity Situational Awareness. Also included in the documents released is a partially redacted 28-page Homeland Security newsletter on cybersecurity situational awareness titled, The WASP. In November 2016, investigative journalist Jason Leopold and Massachusetts Institute of Technology (MIT) PhD candidate/Harvard Klein Center for Internet & Society research affiliate, Ryan Shapiro submitted FOIA requests to the CIA, FBI, DHS, and ODNI for records pertaining to Russian interference in the 2016 U.S. presidential election, as well as records pertaining to U.S. intelligence agency operations involving any such Russian interference. After the agencies failed to respond to their request, Shapiro and Leopold filed a lawsuit on December 26, 2016. The following documents are the first production of responsive documents since the suit was filed. The Plaintiffs are represented by Washington, DC based FOIA specialist attorney, Jeffrey Light.